Tomorrow is the final day to vote in the Fun Photo Contest! You can only vote once, but if you haven't already voted, click here to cast your vote for one of the seven fabulous couples. Now, onto the third installment of my series on wedding details. 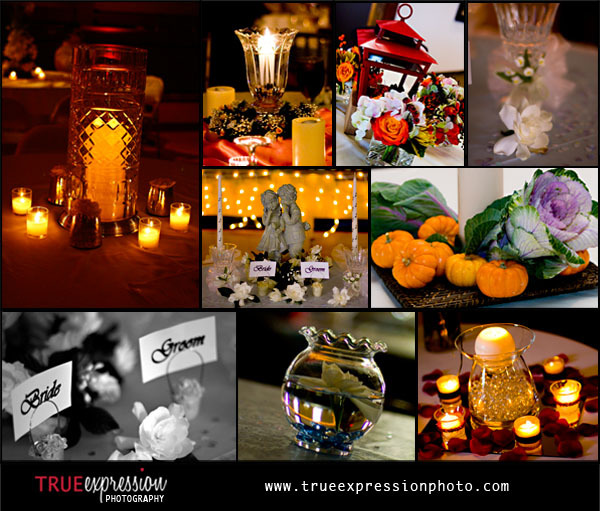 This time, I will featuring my favorite photos of centerpieces and table decorations from 2008 weddings. This wedding detail series is meant to give brides some wedding planning inspiration. If you haven't seen the previous posts, make sure you also check out these posts on wedding cakes and flowers.